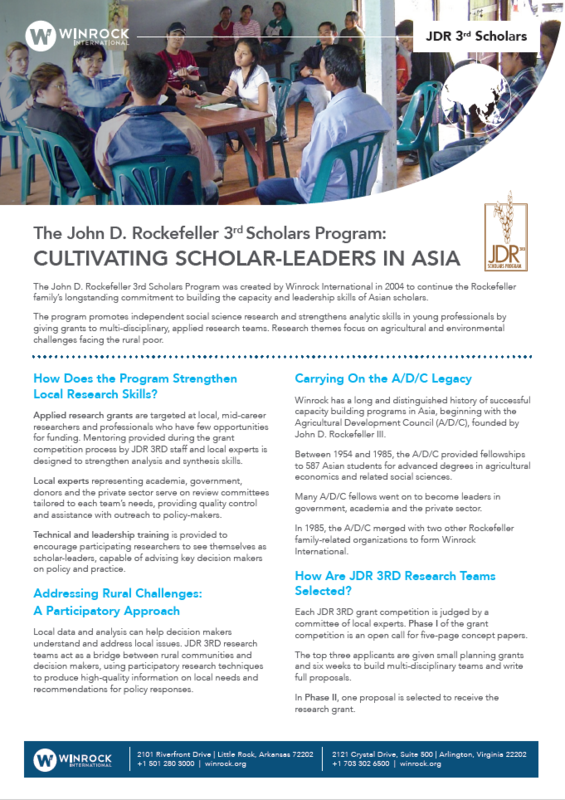 The John D. Rockefeller 3rd Scholars Program was created by Winrock International in 2004 to continue the Rockefeller family’s longstanding commitment to building the capacity and leadership skills of Asian scholars. The program promotes independent social science research and strengthens analytic skills in young professionals by giving grants to multi-disciplinary, applied research teams. Research themes focus on agricultural and environmental challenges facing the rural poor.